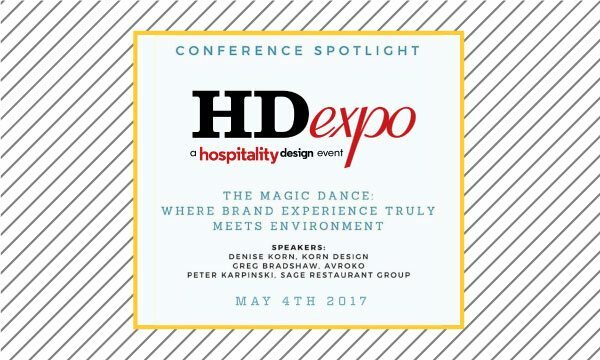 Our own Denise Korn heads out to Vegas this spring to present alongside long-time client and friend, Peter Karpinski, Sage Hospitality and Greg Bradshaw, Partner AVROKO, to talk about their recent collaboration on Halcyon, A Hotel in Cherry Creek, and share insights into how to get to the magical place where collaboration between brand, design and operations wins in developing inspiring places and achieving brilliant end results. In today’s world, in order to make a place really feel authentic, branding has become as important as the interior design. Another piece of the puzzle, good branding brings experiences and each story to life by leveraging opportunities in three dimensions—from fingertips online through the front door and beyond—that resonate throughout the entire project. Find out best practices for a completely integrated approach from a panel of experts in a case study format. Click here for details on HD Vegas. Click here for Halcyon, A Hotel in Cherry Creek project page.